Animal Lovers! Join us for day out with your pooch. Anyone can attend (even if you aren’t adopting) and don’t forget your old bag of dog food (full or empty) to be exchanged for a bag of Pedigree South Africa! Click image to RSVP. Whose up for the Pedigree South Africa challenge? Click here or image below now, and you can WIN a year’s supply of Pedigree for your pooch….and go!!!!!! Good luck!! 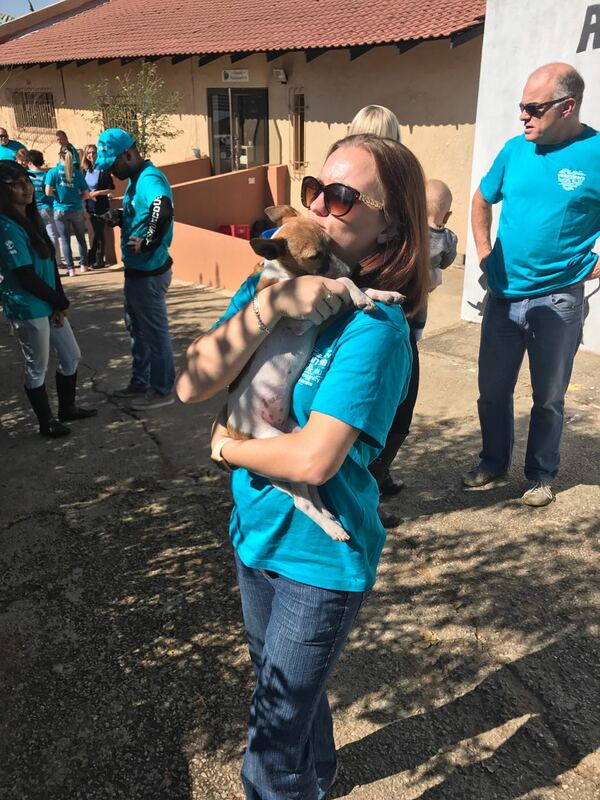 ARK ANIMAL SHELTER OUTREACH WITH FNB! 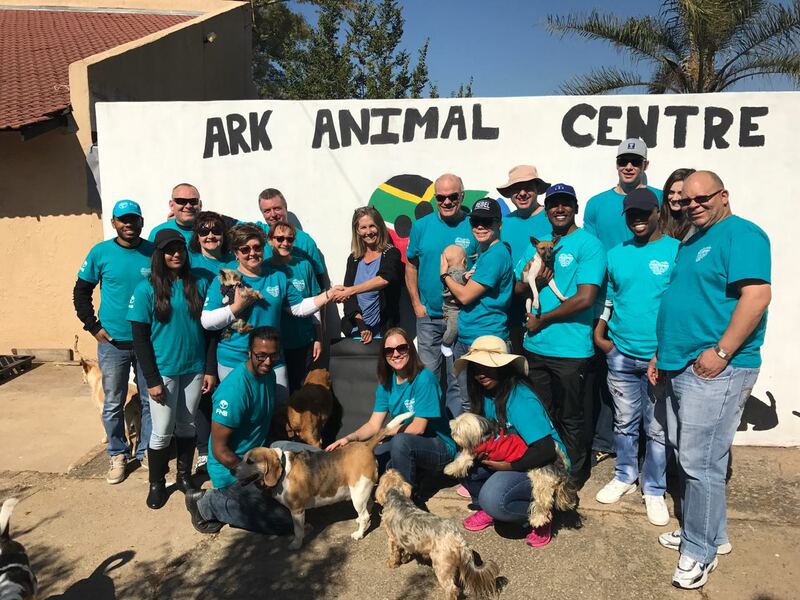 DMT and ISS ventured out to the Ark Animal Shelter based in Fourways, Gauteng. Ark Animal Centre specialise in the rehabilitation and re-homing of puppies, pregnant moms and small breed dogs from all types of backgrounds. Their aim is to change the consciousness in attitude of people toward animals through education. On our arrival at the shelter, we were met by Tracy Otto, who is the owner of the shelter, and welcomed by a pack of excited resident dogs. She gave a brief introduction of what they do at the shelter and how they re-home puppies and other dogs. 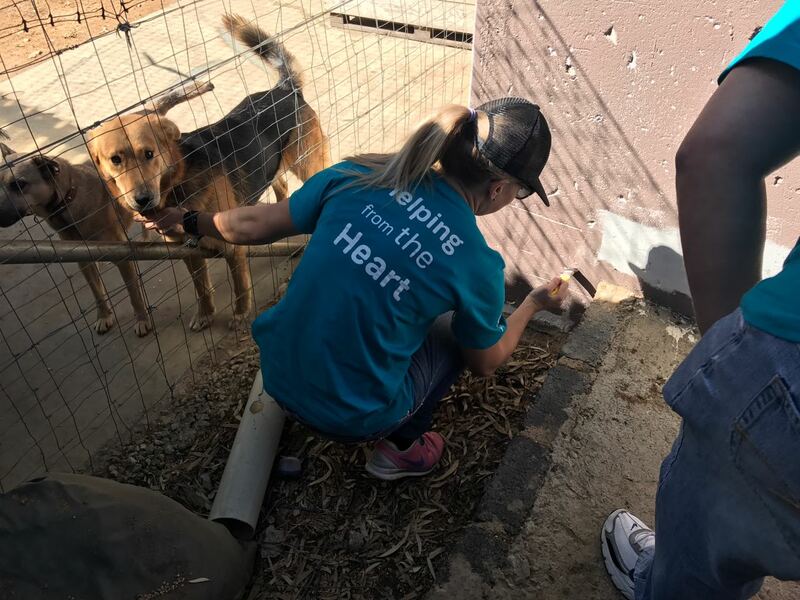 The shelter also collects dogs from the nearest informal settlement on a weekly basis to spay them and treat any wounds. Tracy said that they have seen a radical change in the behaviour of the dog owners in the informal settlement after agreeing to help them. Less and less dogs need to be spayed and owners are looking after their animals. Their biggest expense at the moment is food and vet bills. As a non-profit organisation, their survivability is dependent on the support of the public as well as the donations they receive. 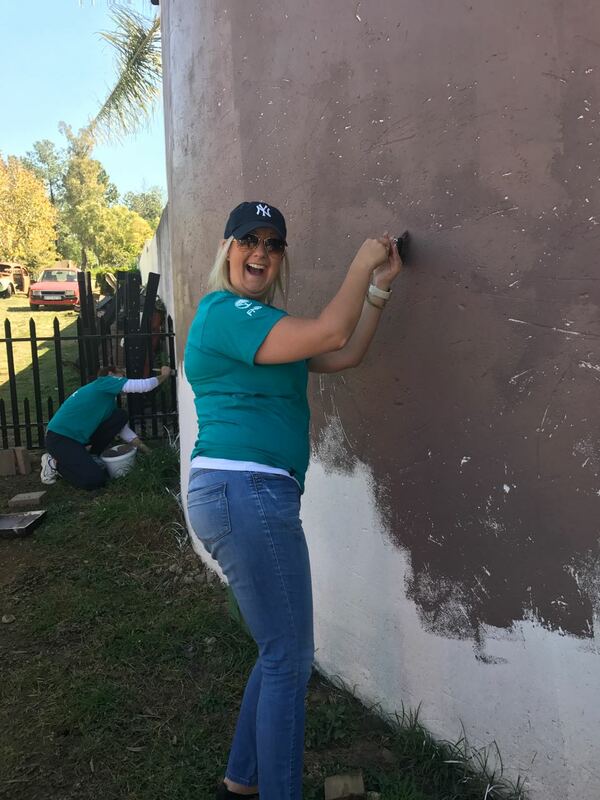 Tracy put our team to work and we were tasked to paint an outbuilding and outdoor kennels. 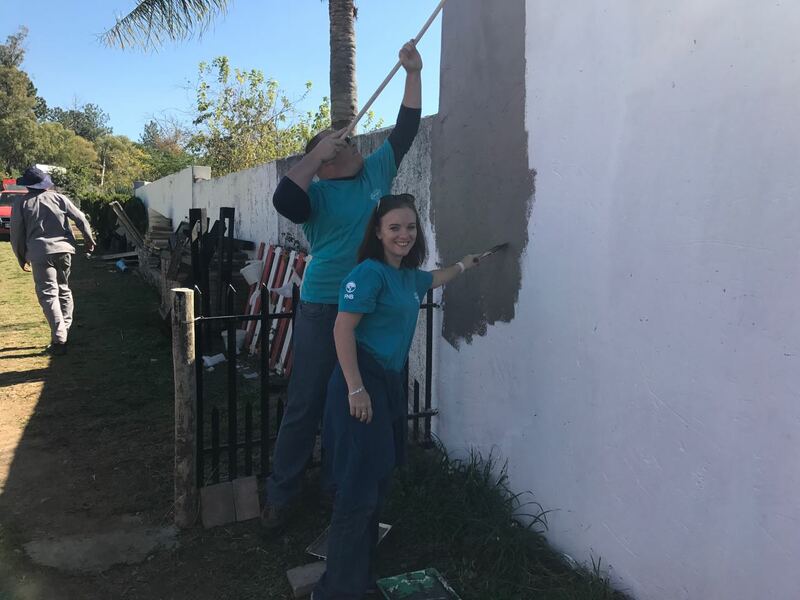 We had to apply various creative painting techniques to fill all the cavities in the walls, however we got the job done and the building looked fantastic. 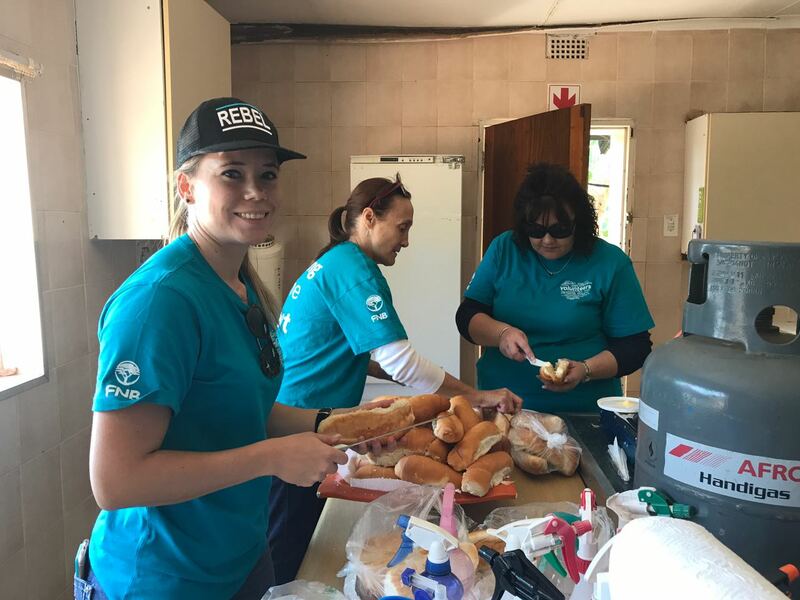 The lunch team hastily assembled a mountain of boerewors rolls to feed the Ark employees as well as our volunteer team. After a quick lunch break, it was time to exercise the dogs and give (and receive) some puppy love. The team had so much fun walking the dogs through a park located on the property. Not only did we Volunteer our time, the CFT team also generously donated a “walk-on” scale which will be used in the clinic to weigh the animals for medical purposes. CFT got a Medical Rep on board from Virbac to help with the much needed medical equipment. Virbac donated a box of “Backhome” microchips with 2 “Backhome” microchip readers. The very first puppy was actually “chipped” on the day. They also donated a box of Prazifen dewormers. We will be supporting the shelter with various initiatives and we are all looking forward to the relationship with them. At a cost of ONLY R250, you will receive a wonderful keepsake of your precious pet, and know that the money spent will go directly to Ark Animal Centre. “I am dedicating my time to a worthy cause as these little pups need all the help they can get.” says Christy. For more information please email preciousportraitsproject@gmail.com. Please spread the word and share this poster… Lets do something good!! The Royal Pooch and Co in Kingfisher Road, Fourways has formed a team of avid animal lovers who are dedicating their Warrior Commando race to the Ark Animal Centre in an attempt to raise some much needed funds for our rescued puppies. The Race is on the 23rd August 2015 – please spread the word, every cent will help make a difference! The race is a 9km – 11km run with 22 obstacles….all support is welcome for our brave Warriors! 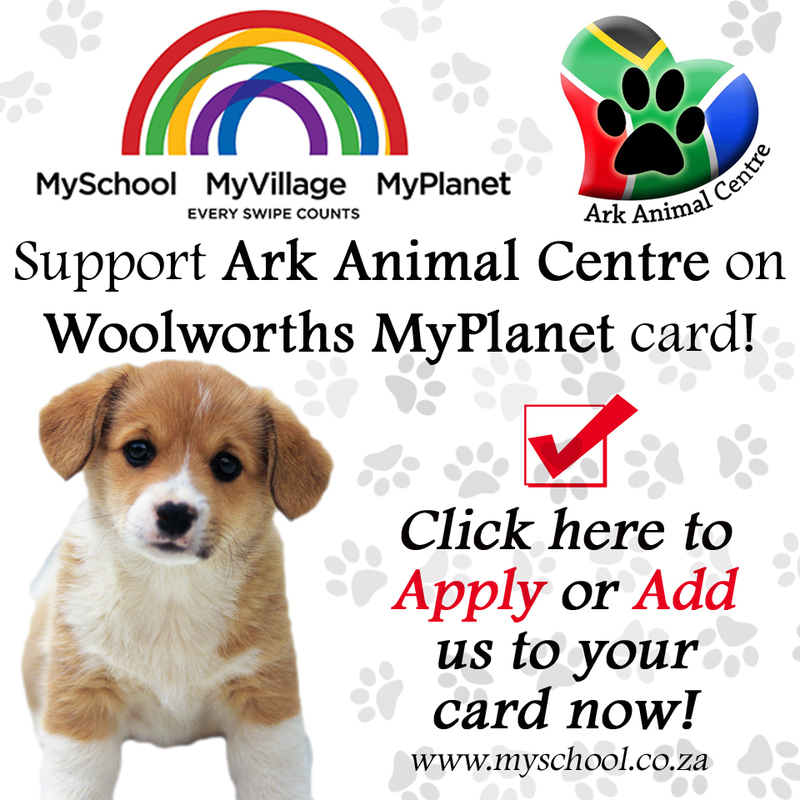 Help us raise funds for the Ark Animal Centre a Fourways based PUPPY SHELTER specialising in the rescue, rehabilitation and re-homing of puppies, pregnant moms and small breed dogs. ♥ All donations are so appreciated by their puppies! 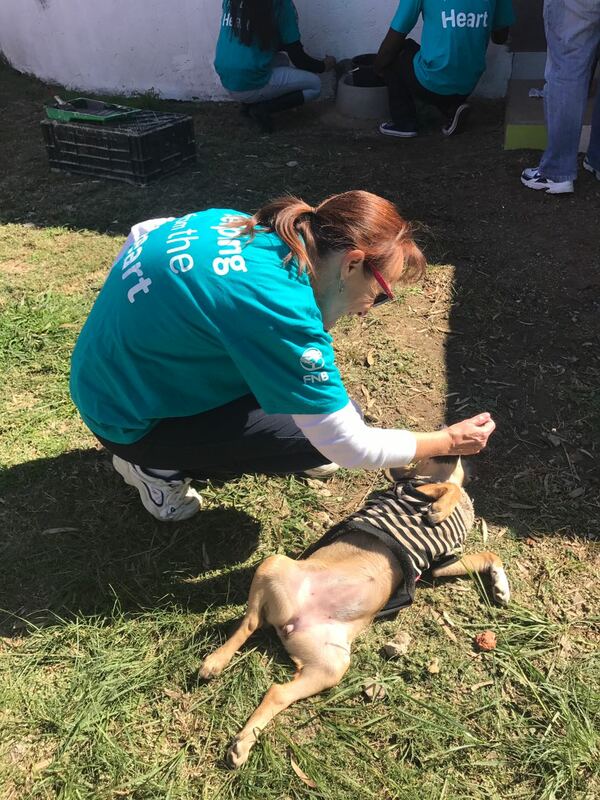 On 13 June 2015, the team from 15 on Seventh hosted an open day in aid of Ark Animal Centre, and raised over R10,000 for our rescue puppies!!! It was a great family day that saw the beautiful Mrs South Africa 2015, Sarah Kate Scott arrive along with the elegant 2016 finalists who all had their share of puppy love! 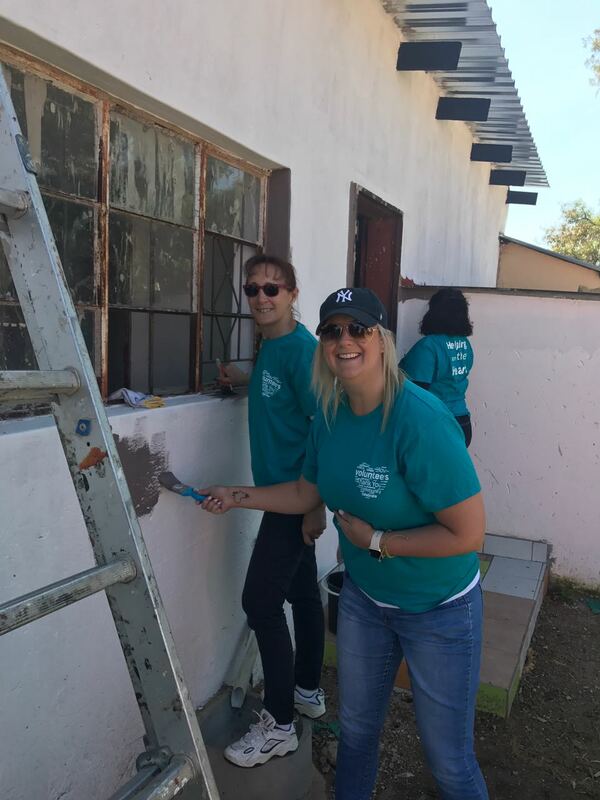 As a charity, we are often approached with companies or people who “want to help us” but really they just want to piggy back off our fan base to promote their business, and we get R1/R10 etc per like/referral. There are very, VERY few people who genuinely will host an entire day in aid of our shelter, and not expect anything in return. We are so thankful to Dr Mark Steinmann and his team for being one of the few truly good people who gave without expectation or T’s & C’s. We feel so lucky to be surrounded by such incredible animal lovers. Thank you sooooooo much!!! Holstein Meats for the boeries and pregos! The beautiful Sarah-Kate Scott – Mrs South Africa 2015 and Mrs South Africa and all the finalists!!! Last but not least to SkinCeuticals, DermaQuest, Vita Liberata, Rogue Royalty, illy, Hotpod Yoga, and everyone that came to show your support! Every now and then something happens that is proof that showcases the good and kindness in the world… Marika Gothlin is an Swedish immigrant, and last year for the first time in her life adopted a dog; a beautiful 6 month old Biewer Yorkshire Terrier (Noah) from Ark Animal Centre. To her surprise Noah molded into her lifestyle and stole her heart. Often speechless as words cannot describe how amazing it is to have him in her life, Marika expresses how wonderful Noah is with her 3 daughters and husband, Noah has become part of their family. In December she cancelled her trip to Sweden primarily because Must Love Dogs, boutique hotel was fully booked and she couldn’t bear to leave him with anyone else. 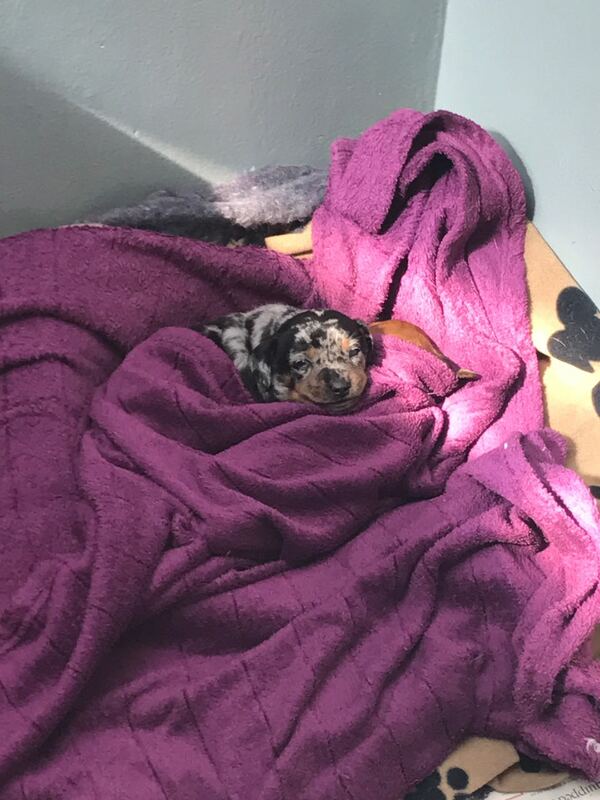 Ark was lucky to have received 3 Basset Hound Puppies on the 26 April they were quarantined and the little male (Goerge) had a very strange eye condition, after visiting Palm Gardens Vet it was clear that the puppy was in need of an expensive operation to remove a Dermoid in the eye. On the second of May Marika and her family popped into Ark Animal Centre, for a visit, they had booked another little Yorkie as they felt Noah needed a friend. However whilst spending time with the pups in the kennels, they noticed little George and Tracy explained the nature of his condition. Marika asked if she could foster little George for a week. On the 6th May Marika returned to Ark and to our surprise had taken George for the operation on her account. An amazing lady with a very warm heart has given this little Basset Hound and opportunity to a beautiful life. He was adopted by a loving family and is now living in the lap of luxury. While Marika ended up adopting another one of our rescue pooches, Sammy. Big thank you to Marika Gothlin and her amazing family!!!!!!! Noah and Sammy adopted from Ark Animal Centre, September 2014 and May 2015. 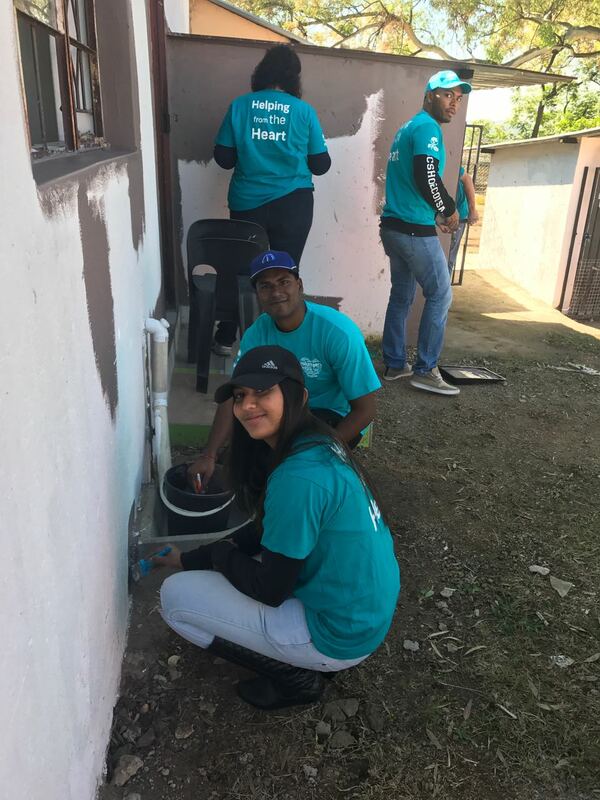 Students will be working to a structured daily programme which is designed to enable them to learn life skills that they will not be able to learn in everyday life. Students will learn to take responsibility for themselves as well as their group. They will learn more about themselves and their capabilities, which will increase their confidence in their abilities. Students will learn to think ‘out of the box’ in a fun, relaxed environment. On completion of this course students will have an intimate knowledge of how a shelter is run, their canine knowledge will be extensive and they will have gained confidence in their ability to take care of themselves in regard to being lost, feeding themselves, first aid and pioneering skills which will be of lifelong value to them. Community service is a fantastic opportunity for the students to learn about those not as fortunate as them, as well as learning to give. The problems we have encountered is that the students are walking away with very little learned skills which in our opinion is just wasted time. We want our students to have gained an intimate knowledge of the workings of the shelter as well as outdoor skills, which is ideal for any student to grasp an insight into what they are capable of achieving on their own and with others. The students will be working under instructors well versed in there various activities and will be monitored throughout all activities. Other Info: Full lunch included. Ages 11 – 18 years old. Will count towards community service hours. Bookings essential. No walk-ins accepted. Payment in full beforehand.